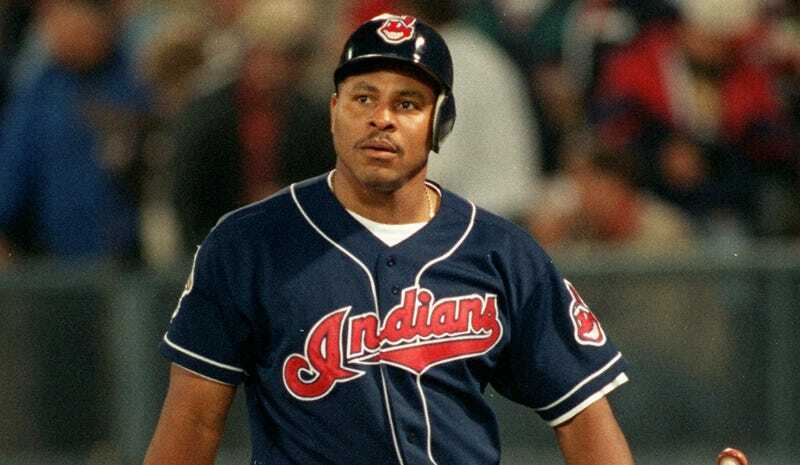 Former MLB player Albert Belle was arrested Sunday at a Diamondbacks spring training game at Salt River Fields in Scottsdale, Ariz., as reported by FOX 10. According to arrest records from the Maricopa County Sheriff’s Office, Belle was charged with two counts of indecent exposure and two counts of DUI. A Maricopa County spokesperson told Deadspin that Belle was arrested by the Salt River Police Department and released from county custody yesterday. Belle has sought treatment for alcohol issues in the past, spending 10 weeks at the Cleveland Clinic in 1990 just before his breakout season. He has also served jail time for stalking. Update (3:03 p.m. ET): TMZ got more details, and reports that Belle was arrested later in the evening than the spring training game. He apparently exposed himself to two minors and two adults, and another person was arrested as well.